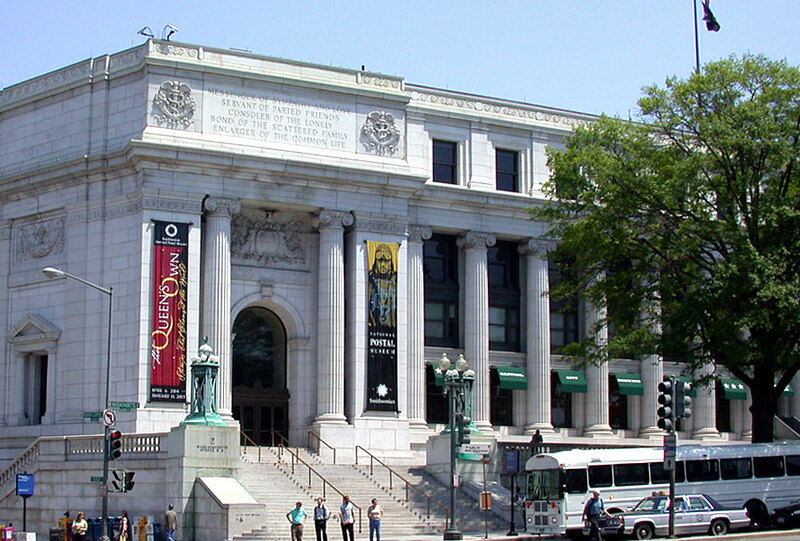 Located in the historic D.C. City Post Office next to the restored Union Station, the Smithsonian’s National Postal Museum showcases the largest and most comprehensive collection of stamps and philatelic material in the world—including postal stationery, vehicles used to transport the mail, mailboxes, meters, cards and letters, and postal materials that predate the use of stamps. Visitors can walk along a Colonial post road, ride with the mail in a stagecoach, browse through a small town post office from the 1920s, receive free stamps to start a collection and more. Three vintage mail planes; stagecoach; 1931 Ford Model A postal truck; replica of a railway car; William H. Gross Stamp Gallery, the world’s largest stamp gallery where children can trace the journeys of historic letters, create a virtual stamp collection, and design their own stamp. Street parking is available near the museum and all-day paid parking is available at Union Station, located next to the museum. See map. Reserved parking near the museum can be purchased in advance through ParkWhiz.